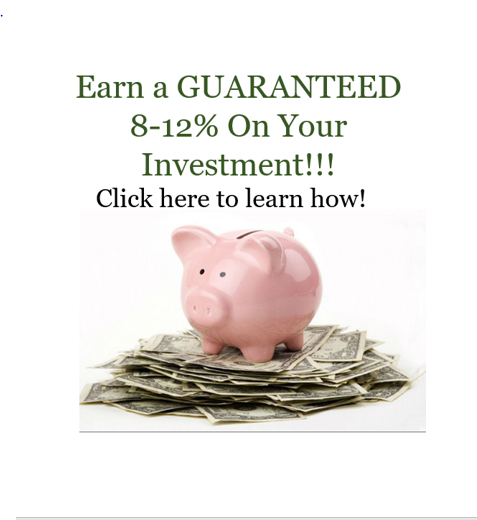 Want To Earn More On Your Investment? Guaranteed 8-12% Return? We pay a MINIMUM of 6 months interest to all investors, even if we only hold the money for a month!! Do you want to earn more on your investments? Investing with Emmaus Property Investment, LLC comes with some outstanding benefits! There are no fees to erode your payout, NONE!! Your investment is backed by collateral. There is little to no risk. Contact us for more information on investment opportunities and let us answer all of your questions.